When science meets beauty, amazing breakthroughs happen. Whether it is a new delivery system or a first in the industry, smarter products are taking skincare and makeup to the next level. These latest innovations prove beauty is never boring. Featuring an innovative twist-to-mix bottle, this K-beauty serum’s advanced design allows the two separate skincare serums enclosed in each bottle (one yellow, one clear) to be freshly mixed together upon opening. 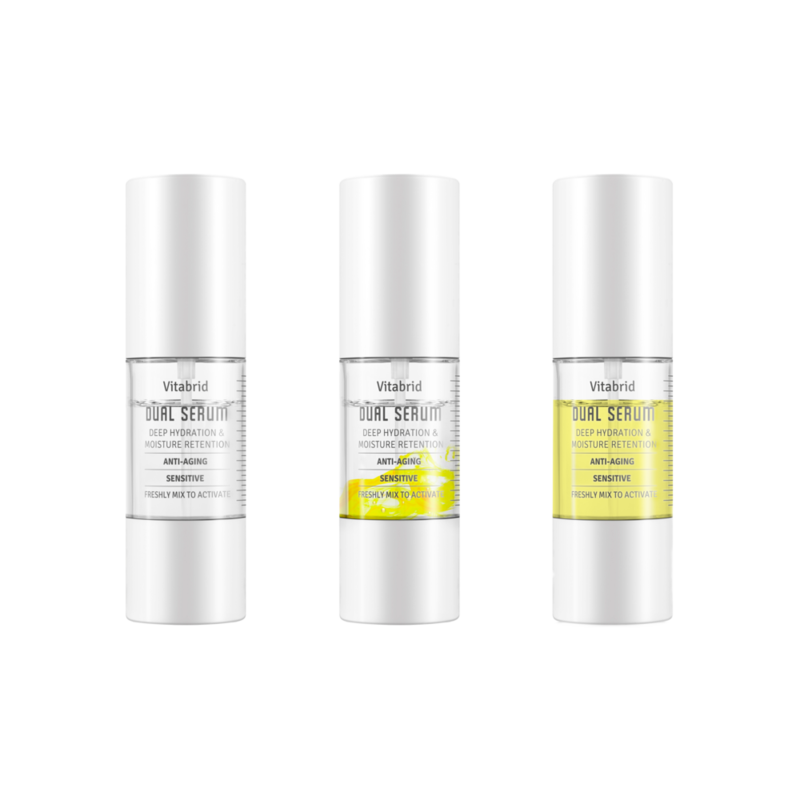 Offering stabilized, active vitamin C and peptides, they are mixed only prior to use to activate the ingredients for optimal results and freshness. The formula has a significant anti-aging and anti-wrinkle effect while keeping the skin thoroughly hydrated. Collagen Pop is the first dissolvable collagen tablet that creates gorgeous-looking skin on-the-go without the mess and inconvenience of powders. It contains two key ingredients: premium marine collagen peptides and vitamin C. Made from the highest quality, most absorbable form of collagen, it transforms water into a delicious, pink beauty tonic. As the most advanced full coverage LED light treatment product, this masque uses low-level light therapy (LLLT) to improve your overall complexion and reduce the appearance of uneven skin tone and enlarged pores for skin that looks fresh and more youthful. Featuring a blending box, grinding tool, makeup press, and an all-natural based binding spray, this broken makeup repair kit includes everything you need to take your powders from pulverized to pressed. Whether you’re fixing eye shadow, blush, or highlighter, FIXY has got you covered. Available in five shades, this holographic gel glides on with ease and creates an extra dewy glow. The fresh, bouncy texture can be used all over the face and body to highlight and create standout shine. The innovative jelly shimmies and shakes, offering concentrated pigmentation from pearl and mica-based shimmers. Nuest’s unique jelly texture also features a self-smoothing memory-form with a water-based, quick-drying formula to leave skin feeling fresh and comfortable. As the world’s first magnetic false lash, One Two Lash® is available in six styles, including accent, half-lash, and full coverage options. The breakthrough alternative to messy, damaging, and time-consuming glue-on falsies, the line’s patented micro-magnet technology makes the brand not just the first, but also the only magnetic extensions of their kind.